Previously Honda made an announcement that they have recieved 12,000 bookings on their Honda WR-V in the month of April 2017. Now as per a fresh report from Economic times, the bookings have made a jump to 16,000. The company has seen a good pick up in sales this year with the launch of honda WR-V and Honda City. WR-V was launched in the country in mid-march and Honda City came out in mid-February. Also the new Honda City has secured over 30,000 bookings since it's launch. To keep ut with th epace of the market the company has also upgraded their premium line up with Honda CR-V with the introduction of automatic transmission and also Honda WR_V with 1.5 L iVTEC. 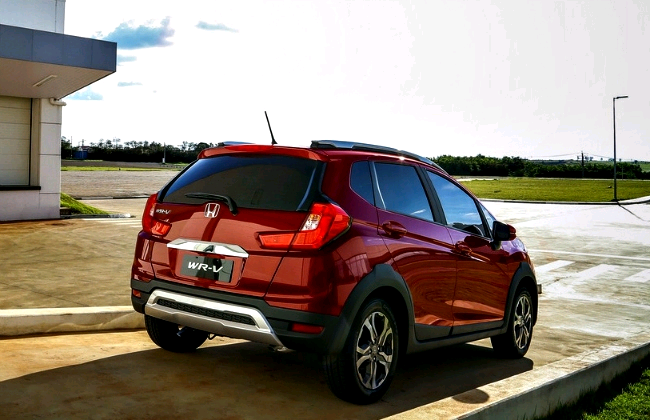 Honda WR-V is available in two grades S and VX. The WR-V gets various attractive features and offerign such as daytime running lights, silver skid plates, 16 inch gunmetal finish alloy wheels, electric sunroof, automatic climate control, cruise control, 7 inch touchsreen DIGIPAD, dual front airbags and EBD. The crossover is powered by a 1.2 litre i--VTEC engien for petrol variant and 1.5 litre i-DTEC engine for Diesel variant.